As a Christian, you need all the resources you can find that will help you with your journey. You may be one of the many followers of Lifeway Christian Resources, which is one of the largest providers of Christian products all over the world. You can also find Relevant Magazine, an online faith-based, cultural, and intentional living magazine, to be a useful tool. No matter what unique Christian resource you use, there is nothing better than sharing it with the rest of the world and leading others to the answers that they may be looking for. 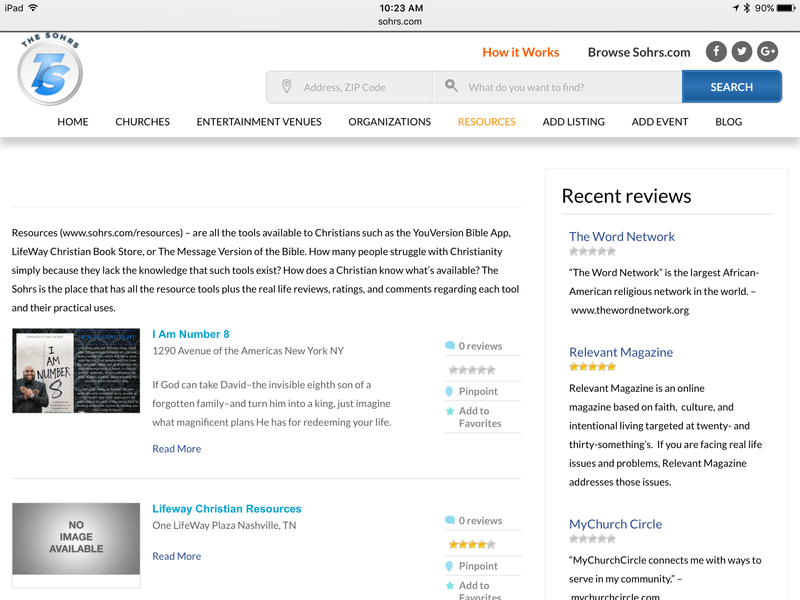 Log onto Sohrs.com and share your favorite Christian resources. Who knows, your favorite resource may lead to someone’s answered prayer.